The Fortune Group proudly announces our Fortune Butterfly City Celebrating Its 10 Years success with Vision, Mission, Commitment and the same will be continued in the Years to come. On this occasion the management wants to thank each one of them who have supported in all these years especially our beloved customers. We make ourselves approachable and accountable to our clients in pursuance of an honest professional relationship for maximum customer satisfaction. 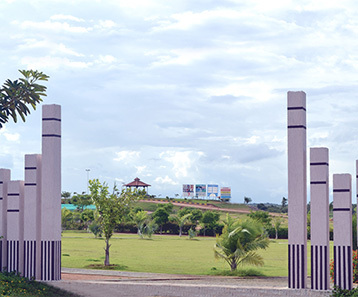 One such project which showcases the authenticity over and above the finesse with which our company works is the Fortune Butterfly City, a serene and blissful 3600 Acres Integrated Township development located on the Sri Sailam Highway between Kadthal and Dasarlapalli which boasts of 100% Vaastu & DTCP approved layout, 60 & 40 feet wide interconnecting roads, underground power supply, water supply & drainage in addition to rain water harvesting and 24*7 security system in place. We are well versed with the age old adage of ‘Carpe Diem i.e; Seize The Day’ and that is exactly what we thrive for day in, day out. We are perfectly capable of enduring setbacks yet still yield favourable outcomes. Our sole focus isn’t only on economic development and stakeholder’s benefit but also on the integrated sustainable development of human life and the environment conjointly with a view to achieve the highest possible Quality of Life. The basic concept of Fortune Butterfly City is that it will have separate colonies for highly qualified Doctors, Scientists, Professionals, CEOs and NRIs. The close proximity of the city to Rajiv Gandhi International Airport in addition to the availability of city owned Taxi/Cab service designed specifically to cater to the needs of the foreign nationals as well as NRIs, will be conducive to its groundbreaking success. All in all, Fortune Butterfly City is a captivating place where you will experience happiness, comfort, contentment, peace of mind, serene beauty and a true sense of freedom, all of which you deserve. So, grab the opportunity, come experience the various hues of life in here and it is bound to leave you mesmerised!!! Our first batch (2015-16) of class X students passed with flying colors in CBSE Board Exams. A total of 13 students appeared, Out of which 04 students scored 10/10 CGPA. 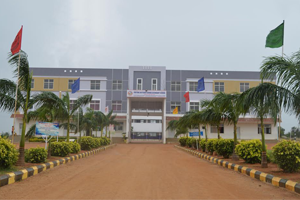 The school has moved a step further with the affiliation of +1 (Intermediate) from this academic year (2016-17). At present it offers M.P.C & Bi.P.C streams.